I got my bridesmaid shoes this week which is a relief as its 5 weeks away! And its the weekend and Im going to pack it with crafting so watch this space! Whilst I was browsing through pinterest I discovered a tri-fold card that blew me away. So recently I attended a craft class where we made a card like this from Amy White. 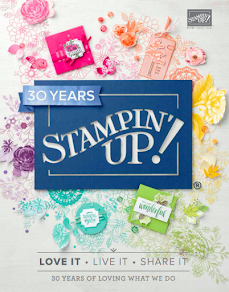 It was a fun evening and was great to see some of the new products from the Stampin' Up Spring Catalogue. Well until next time happy crafting!